Facebook is the holy grail of advertising. With over 1.23 billion users, it’s a nearly limitless way to get your brand out there — if you’re able to get your campaign right. Apps like Snapchat and Instagram may lend themselves a little more naturally to trendy campaigns, but Facebook is still king when it comes to having the widest reach and greatest advertising versatility. Best of all, if you get your campaign right, most of your exposure may be free as your posts spread through customers’ friend lists via shares and likes. 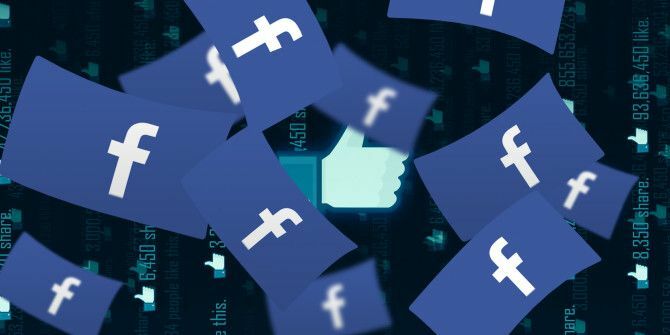 These ten businesses, both big and small, used Facebook to its maximum potential, and quickly gained recognition, likes, and engagement for their business campaigns. What did they do? Out of all the campaigns mentioned in this list, this is the one that’s currently blowing up my personal newsfeed. For some reason, Facebook tends to be people’s favourite way to save and share recipes (even if Pinterest would really be a better option for that kind of content!). These short, high-speed videos give you just a taste of each recipe, with a link to Buzzfeed Food‘s full website if you would like the details (or other related recipes). What can you do? Short Facebook videos are a great way to build engagement with fans because they’re easy to upload directly to Facebook and can be shared across social media platforms. If your videos can be done without narration, even better – you want content that people can watch without enabling the audio while in public! What did they do? The song “I’m Good” by the Mowgli’s was created by the Band Together Project based on posts from users who had experienced bullying. A free download of the song was made available — but only if you first shared something nice on a friend’s wall via Facebook, Twitter, or Instagram with the hashtags #BTProject and #ImGood. These Facebook posts brought a lot of positive attention to the Band Together Project and what it was accomplishing! What can you do? Having incentives like a free song is always a great idea, but consider having something like a shared post be required before people can access it. As well, being actively involved in something that makes the world a better place will always encourage people to engage with your Facebook posts! What did they do? Every day GoPro’s Facebook page features a different video and photo taken by users around the world. These videos of the day show off the GoPro camera’s functionality without being a blatant advertisement, and are engaging enough to draw people in. This kind of ongoing campaign is obviously effective — the video in the example above has over 1.5k views and numerous shares and comments and was only posted an hour ago! What can you do? Sharing content from your fans is always a great idea — especially if they are using your product in the process! Ask fans of your page to submit themselves using your product even if there is no incentive attached, and tag them (and any other related page you can think of!) when you share their photo or video so that they can, in turn, share your post with their entire friends list! What did they do? The UNCP created the world’s first social media post in Braille by using Facebook’s tag system to tag each individual Braille word with the written translation. This innovative post brought the UNCP a ton of attention, helping to spread their message of inclusivity and accessibility 10 iPhone and iPad Apps That Take Accessibility to the Next Level 10 iPhone and iPad Apps That Take Accessibility to the Next Level In the past, accessibility has been seen as optional or a nice "bonus" feature, but that view is outdated. Here are 10 apps that make life easier for a wide variety of iPhone users. Read More worldwide. What can you do? UNCP was able to spread their message in a powerful way by rethinking a basic Facebook functionality. Take some time to fully understand Facebook’s advertising tools and the tricks of Facebook’s features 12 Amazingly Useful Facebook Tricks You Probably Didn't Know About 12 Amazingly Useful Facebook Tricks You Probably Didn't Know About It's Facebook. You use it every day and yet it changes something every other week. Are you completely sure you know all of the most useful tricks to make it manageable? Read More , and see if there are creative ways that you can use them! What did they do? Pepsi wanted to sample customers while also gaining Likes on Facebook, so they created innovative Pepsi vending machines that would only dispense a can after you had liked the Pepsi Facebook page. What can you do? Creating a vending machine might be a little much for your company, but it’s always a great idea to take Facebook engagement off-line! 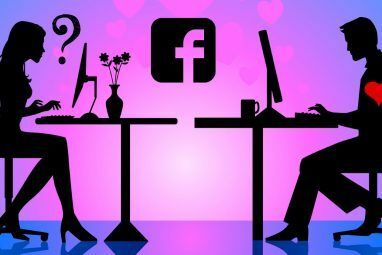 One example might be offering a discount to customers if they show you that they have liked your company’s page, or asking people to like your page on their way into an event to access important information. What did they do? Obermutten, Switzerland is a tiny village with a population of only 79 people, but their Facebook page has over 41,000 likes! The town made a promise to put the profile picture of everyone who liked their page on the town’s local bulletin board – and then delivered on that promise! This adorable off-line feature put Obermutten on the map, and has allowed them an incredible social media reach when it comes to advertising their town as an ideal holiday location. What can you do? People respond far better to pages that act with integrity and that are rooted in something real. It doesn’t take thousands of dollars to have a successful campaign — all it really takes is a little heart! What did they do? We live in a selfie-obsessed culture Stop Hating On Selfies: 3 Reasons You Should Love Them Stop Hating On Selfies: 3 Reasons You Should Love Them Selfies are all too often written off as the egotistical masturbation of brainless teenagers, but that's a superficial take on them. Here's why. Read More , and NASA exemplified it beautifully with their 2014 Earth Day “global selfie”. NASA took selfies that had been hashtagged #GlobalSelfie on Facebook, Twitter, and Instagram and combined these 36,000 images to make a composite photo of planet Earth, which was then shared on their (very active) social media accounts 10 Cool Online Apps and Interactive Features Offered by NASA 10 Cool Online Apps and Interactive Features Offered by NASA Read More . What can you do? Honestly, most campaigns that involve taking a selfie can be incredibly popular with the right demographic. If there’s a way to work selfies into your campaign, it’s probably not a bad idea. As well, be aware of the events that are taking place around you — whether they’re local, national, or global — and try to align your brand’s messages with these current events. What did they do? When you visit Red Bull’s Facebook page, there’s absolutely no indicator that you’re on a page for an energy drink. In fact, the page itself is classified as “Media/News/Publishing”! 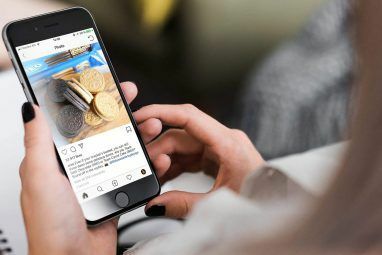 With this non-campaign campaign approach Red Bull has managed to pull in almost 45 million likes by curating a lifestyle that appeals to their customers. What can you do? Don’t only post information about your own brand or company! Instead, try posting material that you think fans and customers will be interested in. This approach works because if any of that information is shared, your page will be shared with it! What did they do? Subway‘s 2013 $2 Customer Appreciation Month was advertised (in part) by using a Facebook event. This component of their campaign reached thousands and thousands of customers as their friends RSVP’d as “attending” or invited their other friends to join the event. The numbers above show that over 32,000 people were invited to the event and 17,000 more actually clicked on attending, but the event would have seen even more traffic than that! What can you do? Create Facebook events for important promotions and dates – inviting people is easy, and Facebook has been putting a lot of focus into improving their events infrastructure for improved visibility! What did they do? Lays involved all of America in creating a new flavor of chips that would be added to their stock. Fans were involved in every step of the process – from suggesting all kinds of ridiculous flavors to selecting the final winner by casting votes. Announcements about the contest were frequently made via Lays’ Facebook account, allowing chip flavor enthusiasts to drum up support for their favorites and building a lot of hype for the competition! What can you do? Giving your fans an opportunity to provide feedback and to give them influence over the direction that you take moving forwards can be a daring step to take, but it also can have incredible results for fan engagement and loyalty. Facebook offers a poll feature that can make gathering this information really easy, but it’s also a great idea to end most posts with a question that can be answered by fans in the comments. Is There Any Logic to Facebook Advertising? Looking at the ten examples above, it may seem like there’s no real way to tell what is (or isn’t) going to help your Facebook advertising campaign be successful Your Business Can Reach Fans On Facebook: Here's How Your Business Can Reach Fans On Facebook: Here's How You can get free marketing on Facebook. It may be a challenge to effectively advertise to your customers on Facebook, but it certainly is not impossible. Read More . However, if you look a little closer a few general themes appear. Be creative — People don’t like to be advertised to, but they do love to be involved in fun projects! The Band Together Project and NASA’s global selfie are both great examples of involving your fans in creating incredible content. Be interesting — Whether through short video clips like Buzzfeed Food or Obermutten’s unique promise, anything that sets your campaign apart is guaranteed to get you attention! Be for the fans — Your content has to be beneficial for the people that follow you. This is best seen through opportunities like Subway’s promotions and Red Bull’s sharing of targeted content! Give fans a voice — Your Facebook page is a great opportunity for two-way conversation, either through voting (like Lays’ Do Us a Flavor campaign) or by showcasing fan content (like Go Pro’s Video of the Day). Use Facebook as Effectively as Possible — Nothing is more interesting than the innovative use of a medium that we all see as commonplace. Innovations like UNCP’s Braille post and Pepsi’s like machine can re-interest people who have become immune to Facebook’s typical advertisements. Have you had a lot of success with Facebook advertising campaigns Social Media Done Right: Advertising You'll Actually Want to See Social Media Done Right: Advertising You'll Actually Want to See Every company has its own social media presence, but some brands are way more successful than others. These nine companies have taken risks when it comes to social media, and their approaches have paid of Read More or recently been impressed by someone else’s campaign? I’d love to hear about it in the comments! YES' we're having some great success with our business because of it's presence on Facebook. We tried targeted FB Ad Campaigns and FB Product Pages to find that they DON'T WORK and are a Waste of Money! What we did find success with on facebook is sharing a set of videos (each one being just a few minutes longer than the first) and using 1 simple question for our audience to answer. Upon receiving the friends/prospects reply we then can move to the next step while also building our contacts list titled FB Prospects/Clients...?? ?Campaign.